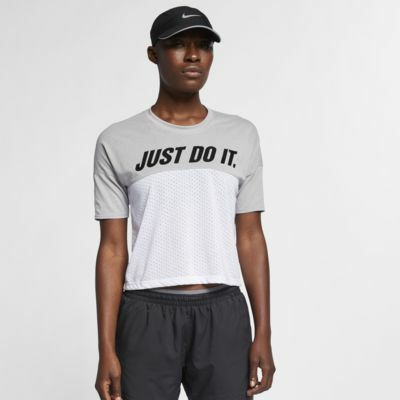 The Nike Tailwind Top sets you up in soft, lightweight fabric with mesh panels to help cool your run. It takes design cues from vintage varsity jackets and motocross, which collide to create a nostalgic yet modern aesthetic. VINTAGE STYLE WITH MODERN PERFORMANCE. Open-hole mesh panels enhance breathability. Colorblock design adds a vintage, sporty feel. "JUST DO IT." 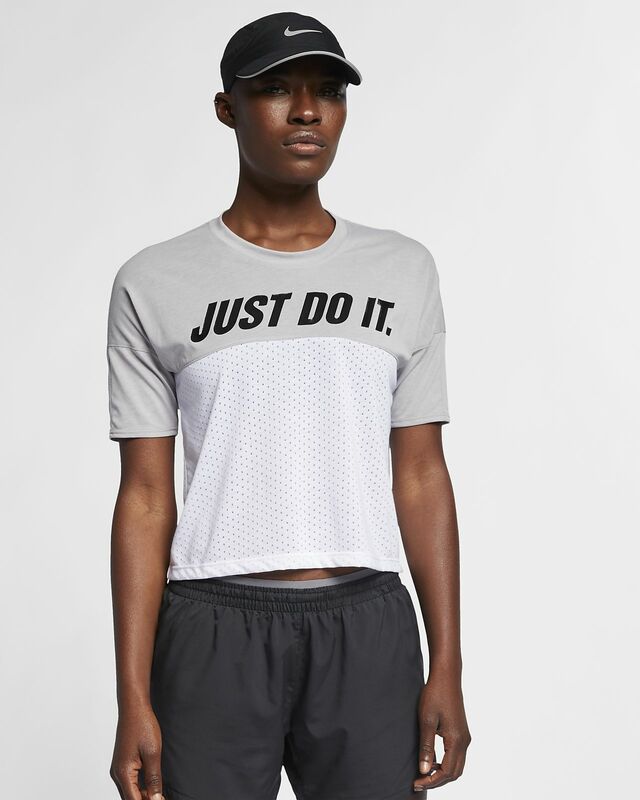 graphic pops across the front. Hem hits above the hips. Have your say. Be the first to review the Nike Tailwind.